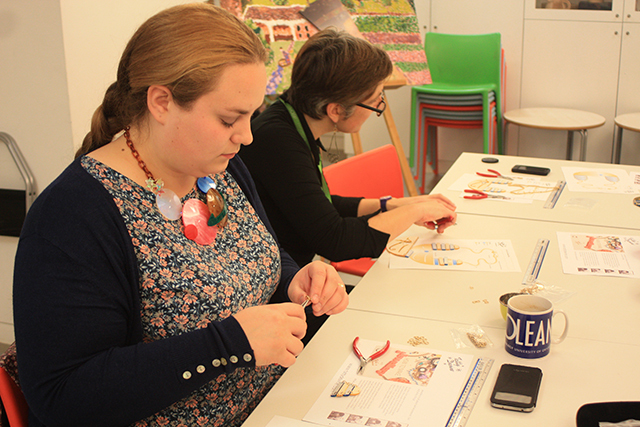 Last weekend we packed up our tool kits and hopped on the train to Oxford's Ashmolean Museum to host some very special jewellery making workshops in celebration of their latest exhibition, Discovering TutAnkhAmun. 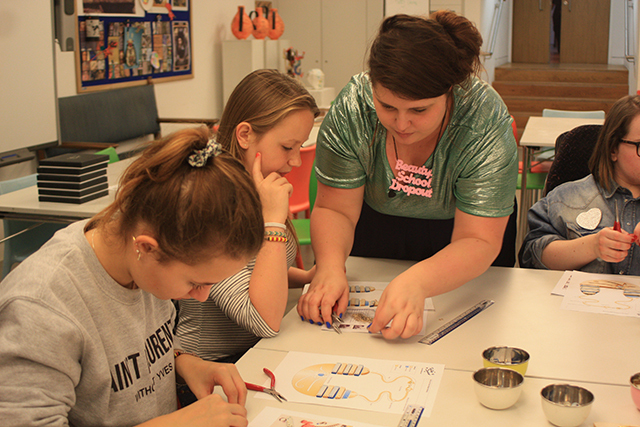 Keen Egyptologists and Tatty Devine fans alike headed along for the exclusive chance to make their very own statement Eye of Horus Necklace. 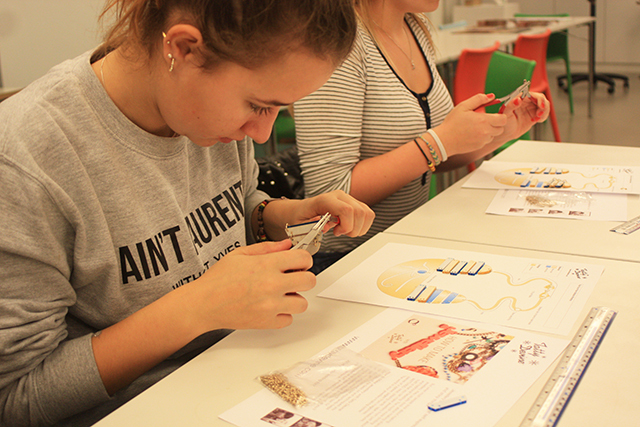 Plier expert Flo led the workshop and taught our eager guests how to open and close their jump rings (wearing her Grease inspired Name Necklace!) 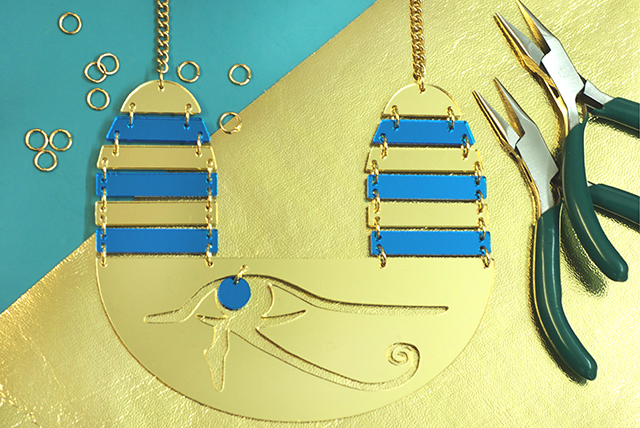 Slowly but surely, the Eye of Horus Necklaces began to come together... 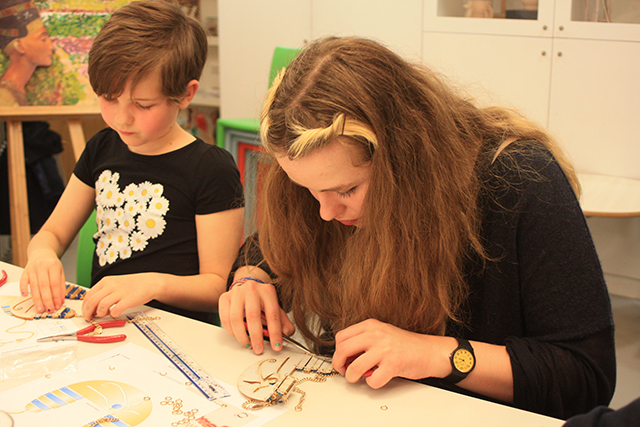 When every piece was correctly joined to the next, it was time to remove the protective film and clean the shining gold and sapphire mirror Perspex. Ta-da! 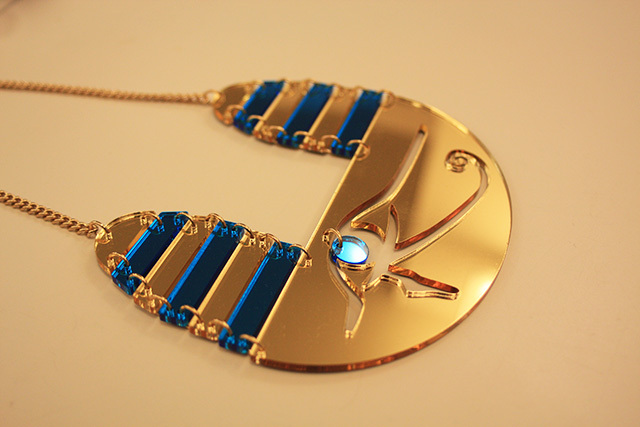 A statement necklace fit for Pharaoh, hand made by a Tatty Devine fan. 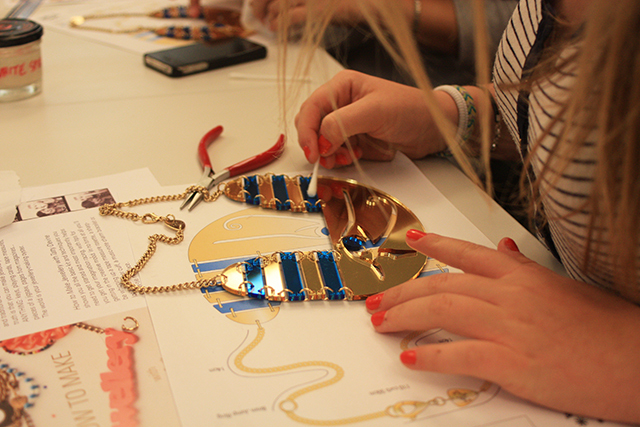 Fancy taking part in a Tatty Devine jewellery making workshop? 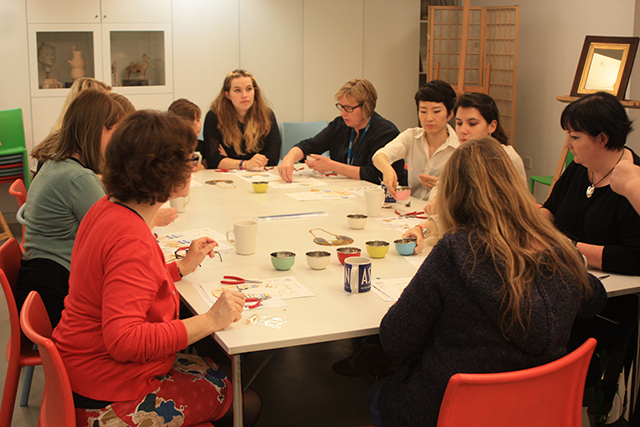 Check out our latest events and book your place now.